Manassas, Virginia was an area of strategic importance during the American Civil War. Being 30 miles from the nation’s capital in Washington meant that both Confederate and Union armies were usually nearby. Two major Civil War battles took place on the Manassas battlefield just northwest of the village. The National Battlefield Park is easily reachable from nearby major cities, and remains a must visit for students of the Civil War. First Manassas was the first major battle of the Civil War in July of 1861. The battle featured two green armies; both were enthusiastic for the pageantry of armed conflict, but naive to the true horrors of war soon to envelop the United States. The Union army, led by General Irvin McDowell, saw initial success with a flanking maneuver across Bull Run, but the Confederates, inspired by General Stonewall Jackson’s stand on Henry Hill and reinforced by troops arriving by train from the Shenandoah Valley ended up routing the Union. 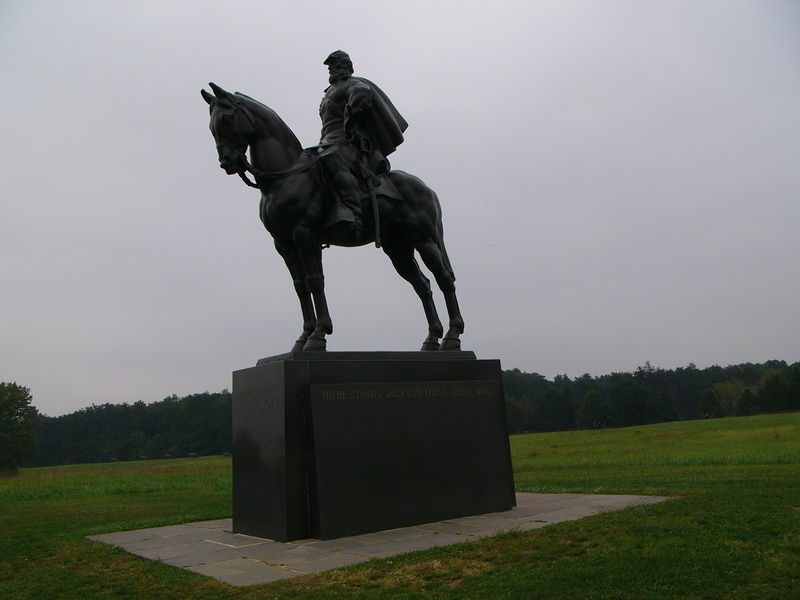 Stonewall Jackson watches over the Manassas battlefield. Photo by Angela Williams. Both the defeated Union soldiers and the Washington elite who came to watch the battle clogged the road back to Washington after the battle, but the inexperienced Confederates were too disorganized to capitalize on this opportunity. Second Manassas featured an arrogant Union general, John Pope, whose actual ability was greatly exceeded by his ego bolstered by success in the war’s western theater. In August of 1862, the Union army was split between Pope’s troops in northern Virginia and George McClellan’s army outside of Richmond after their peninsular attempt to capture the Confederate capital was thwarted by Robert E. Lee. Manassas’s famous Stone Bridge. Photo by Angela Williams. Lee seized the opportunity to attack Pope before he and McClellan could combine their forces. Sending the corps of both Stonewall Jackson and James Longstreet northward to harass Pope, the two Confederate generals, after two weeks of the fast maneuver typical of Jackson, were able to trap Pope near the First Manassas battlefield. Pope, not realizing that Longstreet was present, unsuccessfully assaulted Jackson’s lines in an unfinished railroad cut. Soon after the final Union repulse, Longstreet attacked Pope’s left flank which nearly annihilated the northerners before a final last stand on Henry Hill allowed an organized retreat after nightfall. The Confederate success led to their invasion of the North and the Battle of Antietam the next month. 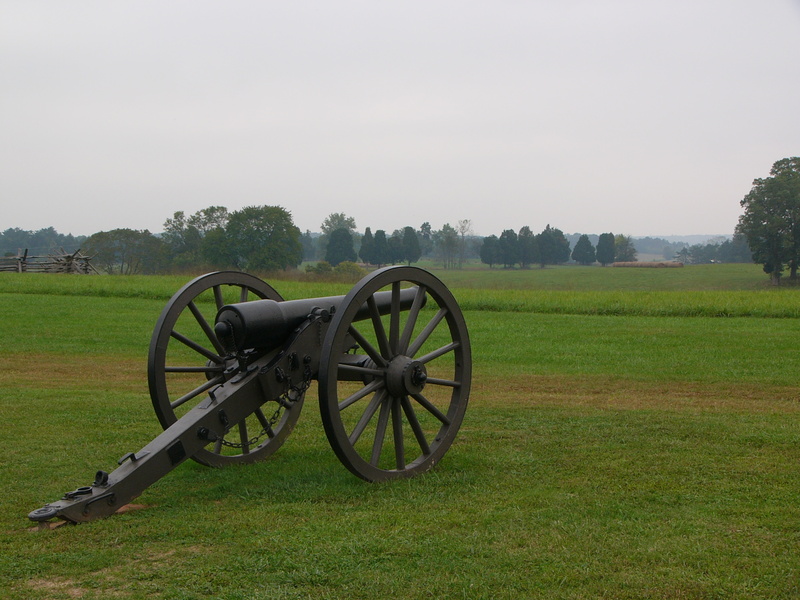 Manassas National Battlefield Park is easily accessible from Interstate 66, south of Washington. The area around the interstate features a host of chain restaurants and lodging options. Despite the encroaching Washington suburbia, the battlefield and its surroundings retain a rural flavor. The Henry Hill Visitor Center contains a museum with a 45 minute film that covers both battles. There is also a well-stocked gift shop and bookstore. A walking tour makes it possible to see most of the important parts of the first battle, including the renovated Henry House. The 85 year-old widow Henry was the only civilian death of First Manassas. An auto-tour follows the Second Manassas battlefield with additional hikes to some of that battle’s most important spots, including the railroad cut where Jackson fought off Pope’s assault. 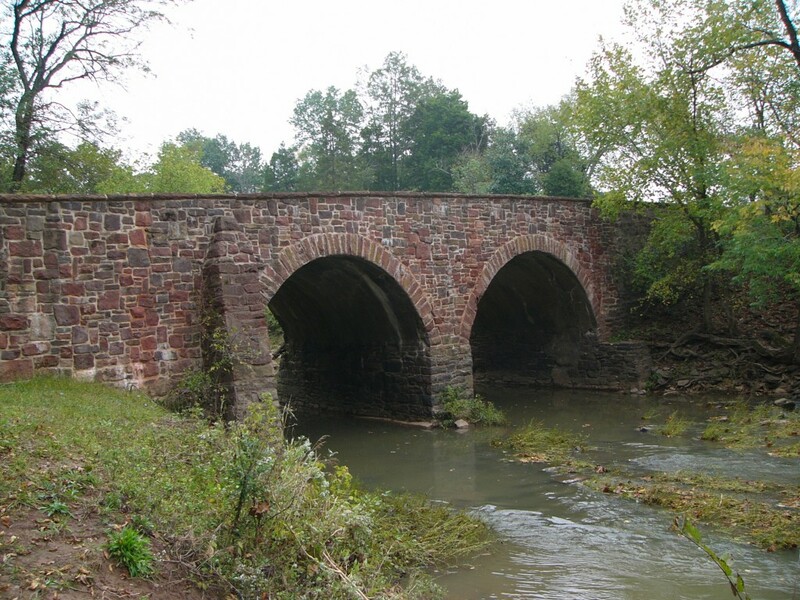 The famous Stone Bridge over Bull Run is also accessible after a short walk from a parking area. Manassas National Battlefield Park is close to many major American cities and is the perfect way to spend an afternoon. Trips to Gettysburg National Military Park or even the Shenandoah Valley’s Skyline Drive would make a fine addition to a visit to Manassas.